The third volume of F5Labs's Threat Analysis Report was a blast to draw. 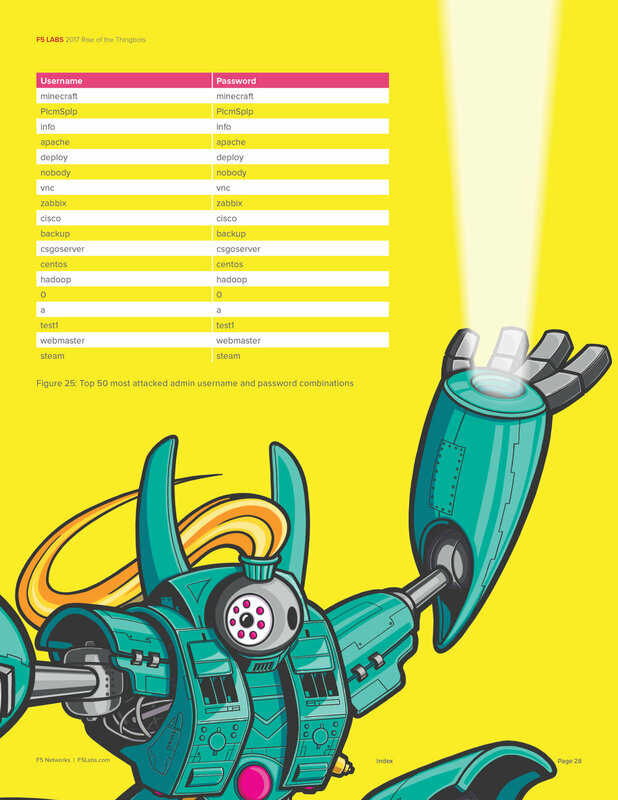 My challenge for this issue was to create robots that visually represented the most common IoT devices exploited by attackers worldwide ... affectionately called, "Thingbots". What artist doesn't enjoy drawing robots? How were the robots created? Both robots were hand-sketched with a 2B pencil, then scanned, and imported into Procreate on the iPad. The drawing was then refined, flat color was added, then exported as a PSD using Airdrop. The final piece was modeled in Photoshop and placed in the report layout using InDesign. Easy peasy.